MINNEAPOLIS—In a press conference Thursday, Minnesota head coach Leslie Frazier made it clear Donovan McNabb would remain the team’s quarterback for the foreseeable future, as Frazier and every other person in the Vikings organization completely despises the 12-year veteran and enjoys nothing more than seeing him fail. "Yes, we're 0-4, but starting Donovan McNabb is still what's best for the team and worst for his health and well-being," said Frazier, going so far as to add there is no other player in the entire NFL he'd rather see losing games for the Minnesota Vikings. "We know Christian Ponder is the QB of the future, but don't think this is about protecting him. This is about watching Donovan McNabb suffer." 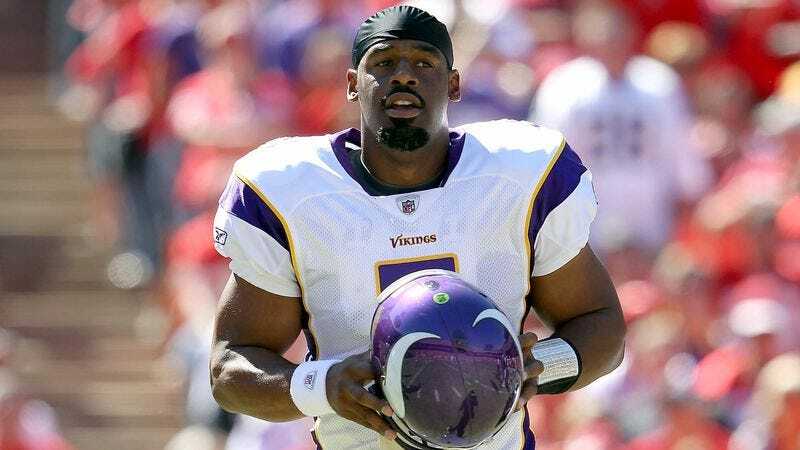 Despite his firm stance on the team’s starting quarterback, Frazier admitted he was hopeful Ponder would see action on the field this year after McNabb suffers a career-threatening injury.